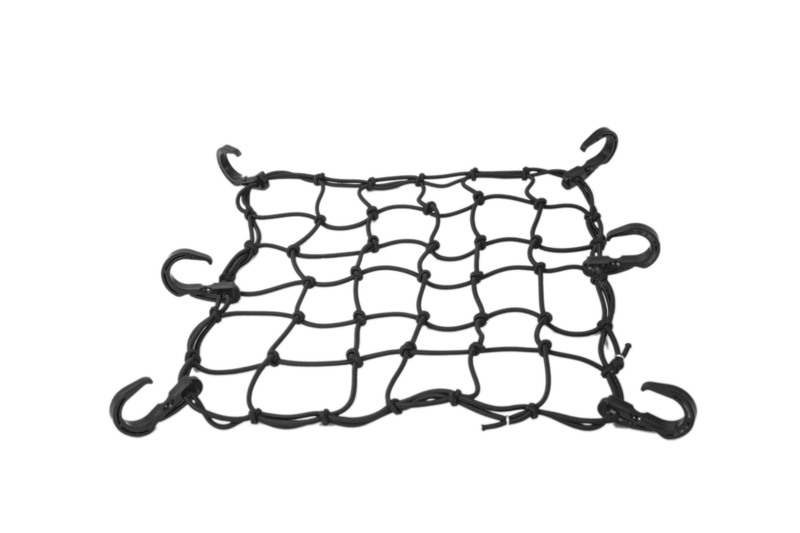 Premium quality 4mm bungee net in 12 inch x 12 inch from the house of ViaTerra. 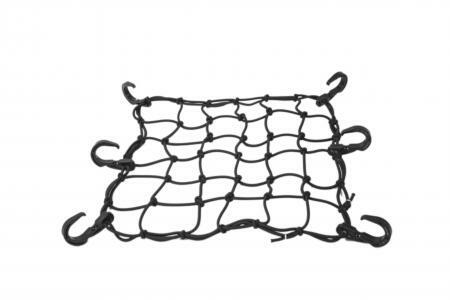 Made from high quality 4mm diameter rubber core with polyester sheath and plastic hooks, this 12 inch by 12 inch bungee net will help you fasten your gear better on your rides. Yes you should be able to carry a spare helmet using these bungee nets. Yes you can depending on what you intent to use it for. Answered by the admin	We recommend not stretching it to more than 20" x 20" for longer life of the product.